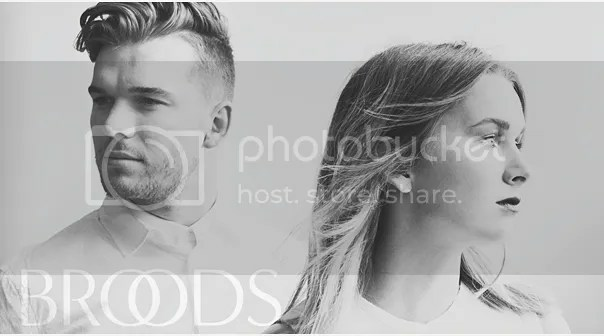 The Broods is a newly popular duo consisting of two New Zealand musicians named Georgia Nott and Caleb Nott. The combination of Georgia’s main vocals and Caleb’s backup creates a beautiful symphony of voices that most people can love and appreciate it, and i’m glad that i’m one of those people that have found this duo early enough to appreciate where they started, and how they will progress as a band. They just released their new album “Evergreen”, and i’m completely in love with the song “Killing you”, which they played for us live at The Oxford Art Factory in their concert recently. I do have to thank Jacob Pittolo for showing me this band though, as soon as I heard their first hit song, I had to hear more. They received a lot of media attention for their single “Bridges”, which coincidentally is certainly one of my favourite songs, not just of theirs as a band, but all time. That’s a big call. Listen to them below, definitely worth your time. I was lucky enough to see them live not too long ago at The Oxford Art Factory, with some friends, and they were definitely one of the best live performances i’ve seen. The energy and good vibes they bring on stage with them is something that not every band can bring with them. I’ve found that seeing smaller bands live has a better atmosphere (with the few exceptions, The Killers being one for me), because they are all generally bigger fans. I have to give a big mention to East as well who opened for The Broods, they also had some terrific energy with them, plus their music is well worth a listen as well! Check out their new EP album “Old Age”, I bought it straight away off iTunes when I got home because I loved them so much. If you ever get the chance to see them live, take it. Lucy Rose is an English singer/songwriter, and released her first album ‘Like I Used To’ in 2012. Her album peaked at 13 in the UK, which I think is amazing, seeing as it’s her first album. She toured with Bombay Bicycle club in early 2012, and I would have seen both of them live then if I had money at the time. I only just found her on Spotify a few weeks ago, but from then, i’ve listened to her almost every day. She’s amazing. Her top song would be ‘Middle Of The Bed’ (above), is about a broken relationship, and whether or not she still has feelings for him. It’s a beautiful song with a lot of powerful emotion behind it if you really pay attention to the lyrics. They way she sings in this song, you can just imagine her eyes closed, picturing an emotional memory. Well I do anyway (I’m not crazy). My friend had told me to listen to her for a while, but I kept forgetting about it until a few weeks ago when I recognised her name on Spotify. One of the most annoying things in the history of humanity is when you suggest something to someone, and a few months later they try and introduce that very thing to you, as if they just found it, so i’m sorry Nick! Lucy Rose is a groovy new artist, who hopefully this year will bring out a great album and become even more popular. Plus it helps when she’s super cute looking. I can finally blog about music again! And this time, I want to introduce you to another one of my favourites. 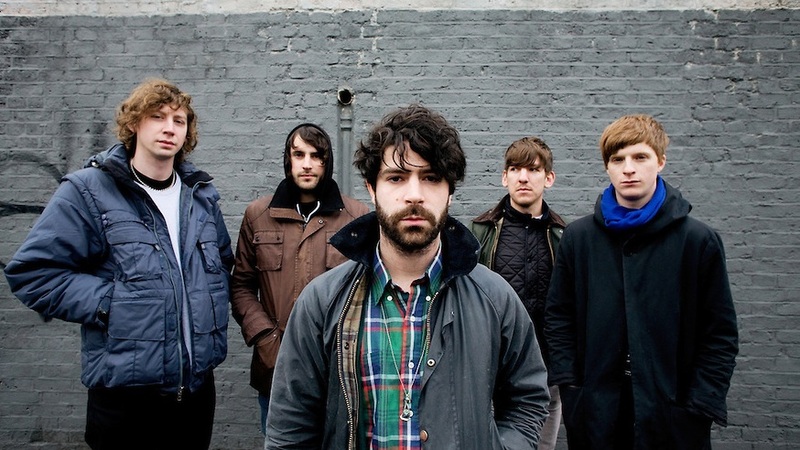 Foals. They’re an English indie rock band who published their first album back in 2008, and it was a great success. They started gaining popularity mid-2008 because of this, and they have spiralled their way across the indie-rock genre. I think one of the reasons behind their success is the change of style in some of their songs. They change in their 2010 album ‘Total Life Forever’, to a more acoustic and slow style, mainly through the song ‘Spanish Sahara’, which personally is one of my favourite songs. check it out below. They got really popular in 2013 in Australia particularly, getting the spot of 29th on the widely popular Triple J Hottest 100. They won ‘Best Track’ at the NME awards in 2010 and 2013, and ‘Best Live Act’ at the Q Awards in 2013. If you havn’t heard of these guys already, I would suggest joining the bandwagon now, because these guys are going places. I had the opportunity to see these guys live back in September 2013, but none of my lame friends wanted to come. C’est la vie. For those that are interested, i’m doing a 2hr mix at my friends party on the weekend, and I’m going to record it and publish the live mix album next week sometime. So for those that are after some great party music, keep tuned! 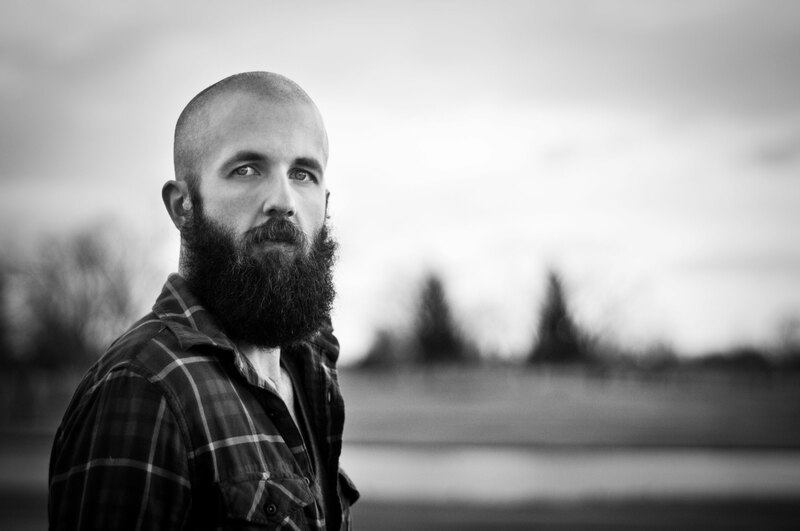 For my second music post, I’ve decided to introduce you all to one of my favourite Artists, William Fitzsimmons. He’s an American singer/songwriter, and I think of him as another Modern-Day Smiths band, just like Keaton Henson. Yes I have a fetish for break up bands. His first two albums, Until When We Are Ghosts (2005) and Goodnight (2006), we’re completely produced and released by himself. And that’s impressive. One of his most well known songs, Passion Play (Below), is one of my favourite songs by him. It’s a beautiful song about how he considers himself a Christian, but struggles with his faith. Something im sure alot of people can understand and empathise about. Some more of his songs that I love include, “Please Don’t Go”, and “So This Is Goodbye”. He is such a beautiful artist, and his music really makes you feel some strong emotions, which is what he tries to achieve. I love this beautiful nature in his lyrics, and to me, it really makes him stand out. One of the reasons I fell in love with him so much, was his amazing beard! I mean, check it out! I’ve joined the Facebook group “William Fitzsimmons to Tour Australia“, it may only have 111 likes, but there are alot of people over in Australia that would love to see him live. Personally, I would travel to the other side of Australia to see this man. He is amazing. For my first music post, I want to post about my current obsession. Keaton Henson. He’s a folk rock musician from England, and he sings as well as play his play guitar, and very well I might add. To my (and others) great disappointment, he apparently suffers from massive stage fright, and so hardly plays in front of crowds. But I would love to see this man live. He has such a great voice. His two Albums, Dear.. and Birthdays, were released in 2012 and 2013, so he is a relatively new aspiring artist. I found him while watching a new tv show “In The Flesh” during the credits, and having a soft spot for soft indie music, I paused at the credits every few seconds to catch his name, and then looked him up on spotify. If I had to compare him to anyone, it would be maybe City and Colour, or maybe Bon Iver. He’s almost like a modern-day version of The Smiths, the PERFECT breakup band. I’ll probably end up doing some posts about them all later. If you like Keaton Henson, you should check him out on spotify. My favourite tracks are; ‘To your Health’, ‘Flesh and Bone’ and ‘Sweatheart, what have you done to us’. If anyone is interested, I’ll probably be posting once or twice a week in my music category, all generally the same style of music. We all enjoy a bit of party music, but that’s not exciting to blog about. Anyway, check him out, he’s going to be huge one day, join the “I listened to him before he was cool” bandwagon.